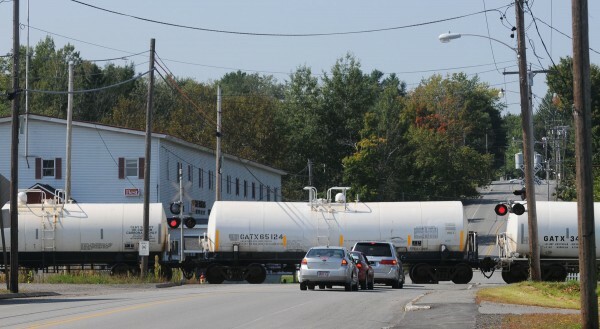 A train rolls along the tracks near downtown Milo in September. The trustee for the bankrupt Montreal, Maine and Atlantic Railway has signed a sales agreement for the railroad’s assets with a company that appears to be affiliated with a global investment firm based in New York City. In documents filed with the court on Thursday, Robert Keach, MMA’s trustee, asked the court for permission to sell “substantially all” assets of MMA and MMA Canada to Railroad Acquisition Holdings LLC for $14.25 million. The sale is not a done deal yet. Railroad Acquisition Holdings is what’s known as a “stalking horse” bidder. In a bankruptcy auction, the stalking horse is a company that promises to buy the bankrupt company’s assets for a certain price unless a better and higher bid is obtained during the auction process. 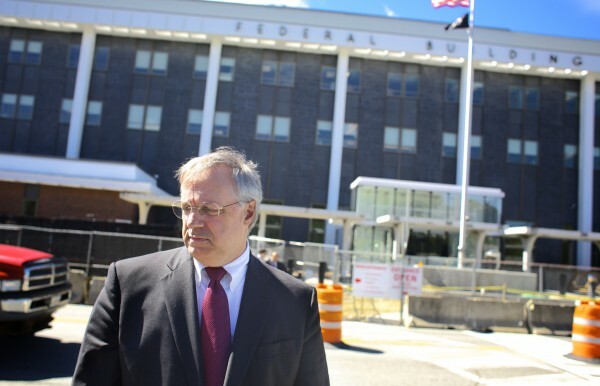 “This is anticipated to be the opening bid in an auction,” Keach told the Bangor Daily News on Friday. Shortly after being appointed trustee in August, Keach received permission from the court to hire the Gordian Group, an investment bank, to help secure a potential buyer for the company’s assets. Roughly 20 potential buyers emerged, some of whom visited the railroad company’s operations to peruse the assets. Railroad Acquisition Holdings was one of those parties. Railroad Acquisition Holdings appears to be affiliated with Fortress Investment Group, a publicly traded investment firm that manages roughly $58 billion in assets. In the asset purchase agreement, two Fortress employees are named as the people to receive notices intended for Railroad Acquisition Holdings. Keach would not confirm Fortress’ involvement in the sale, but confirmed that the list of who should receive notices is correct. A Fortress spokesman did not respond to a request for comment on Friday afternoon. MMA filed for Chapter 11 bankruptcy in U.S. Bankruptcy Court in Bangor on Aug. 7, a month after one of its trains rolled driverless down a hill before derailing in the middle of the town of Lac-Megantic, Quebec, Canada, and causing an explosion that killed 47 people. Assuming the court approves the sales agreement with the stalking horse, all competing bids for the company’s assets will be due by Jan. 17 with the auction beginning Jan. 21, Keach said. A joint hearing between the U.S. and Canadian bankruptcy courts will be held on Jan. 23 to finalize the sale, Keach said. Railroad Acquisition Holdings will deposit $750,000 in an escrow account. If a better bid is made for the company and Railroad Acquisition Holdings is not the ultimate buyer, it will receive a “break-up fee” of $498,750 and a reimbursement of the expenses incurred in the potential sale not to exceed $500,000, according to the sales agreement. The sales agreement with Railroad Acquisition Holdings includes a “clear intention” to continue to operate the railroad on both sides of the border, Keach said.